Use these nutritional principles to help optimise your performance, health, recovery and energy levels. Nutrition rests as the foundational base for any successful athlete. 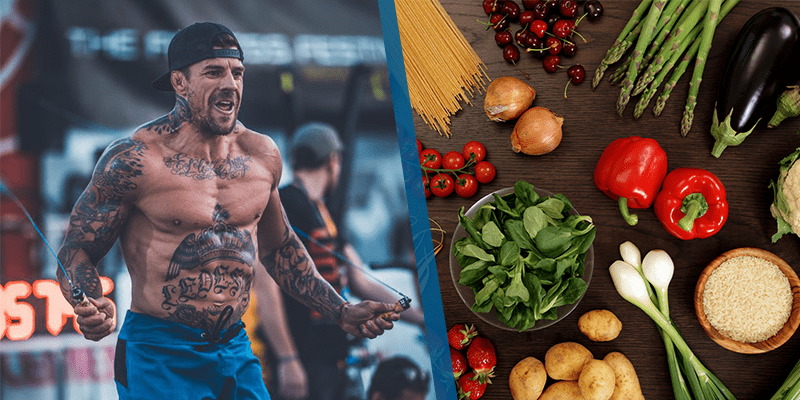 Without a carefully considered diet and the proper equipment to prepare your food, there is simply no way that you will be able to achieve your full potential. When you do nail the basic principles, the effects on performance and health are incredible. Now this is something that I believe will make a huge difference to your health and performance regardless of your goal. Breakfast can be one of the meals that people eat a solely carbohydrate based meal. Cornflakes and milk for example. Some people often go until 1.30pm before eating any form of protein (and even then its is usually only a small amount). If you want to build muscle, lose fat and be awesome at work then get some protein into your breakfast! So why is having protein at breakfast is so crucial? Boost neurotransmitter production – boosts memory, attention and drive for the day ahead. Provides amino acids to build muscle and recover from training. It doesn’t matter whether you do the 6am conditioning class or the 8pm weightlifting class you need protein at breakfast. Eggs – anyway you like – Omelettes, baked eggs, scrambled, poached, boiled……add veggies, add meat, add fish – be creative. The Whiskware egg mixer is a great tool to use for breakfast recipes because it makes simple fluffy egg dishes in minutes. Keeping your cooking simple and reducing as much hassle as possible is an excellent way to stay on track with your meal plan and nutrition. Meat and nuts – Charles Poliquin championed this and I have had some awesome results using this method. Try it. Trust me. Chia seed puddings – google them. So versatile and can be used for snacks and desserts also. Greek yoghurt – add nuts, seeds, berries, protein powder – done! Smoothies – get yourself a nutribullet and start creating masterpieces! Great way to add in lots of different superfoods and nutrients. Add spirulina, maca and tyrosine into a morning smoothie. Try using the BlenderBottle Pro32 to create your Greek yoghurt and smoothie meals as the rounded base allows the BlenderBall® to mix every last ingredient without wasting anything. Whether you are a crossfitter, runner, boxer, powerlifter or anything else, recovery is the key to longevity, growth and successful development. You MUST feed your body properly after each session. Make sure that you consume adequate amounts of protein and carbohydrates to re-compensate your body and provide it with what it needs to recover and grow. 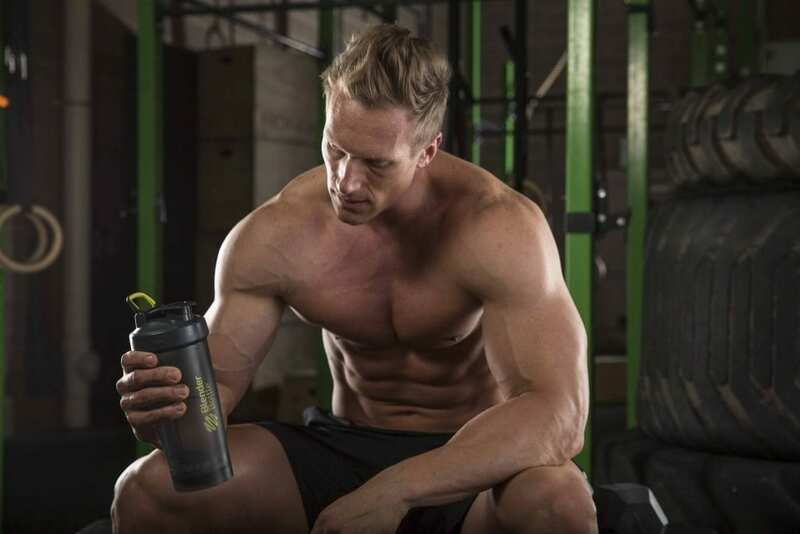 Use The Pro45™ to carry your post workout protein shake. The Pro45™’s massive 45-ounce capacity fits virtually all mass gainer shakes, multiple scoops of a recovery drink, or enough water to keep you hydrated with minimal refills. Your basic metabolic rate (BMR) is the amount of energy your body needs to survive each day. This energy is needed for breathing, your heart beating, nails growing, digestion etc. On top of that, you need energy for daily activities, like walking, weightlifting, running, etc. These 2 combined are called the Total Daily Energy Expenditure, TDEE. This is different for everyone, since it depends on gender, height, weight and activity level. Once you know how many calories you need to cover the TDEE, you must think about what goal you are trying to achieve. Are you trying to build muscle and bulk up? Or to lose weight? Then you must factor this in and adjust the total amount of calories accordingly. If you want to grow muscle but you simply aren’t eating enough, then it simply won’t happen, no matter how effectively or hard you train. It is worth working with a qualified nutritionist to determine an accurate number for you, as they will also break this down into the correct proportions of protein, carbohydrate and fat. This leads on from the previous point. Once you know what you are trying to achieve, and how to get there nutrition wise, then you must record your progress. This is called tracking your macros (macronutrients). This will allow you to see whether or not you are actually consuming what you need to be eating in order to reach your goals. The fact is that the majority of people underestimate the impact that eating enough vegetables has on health and performance. 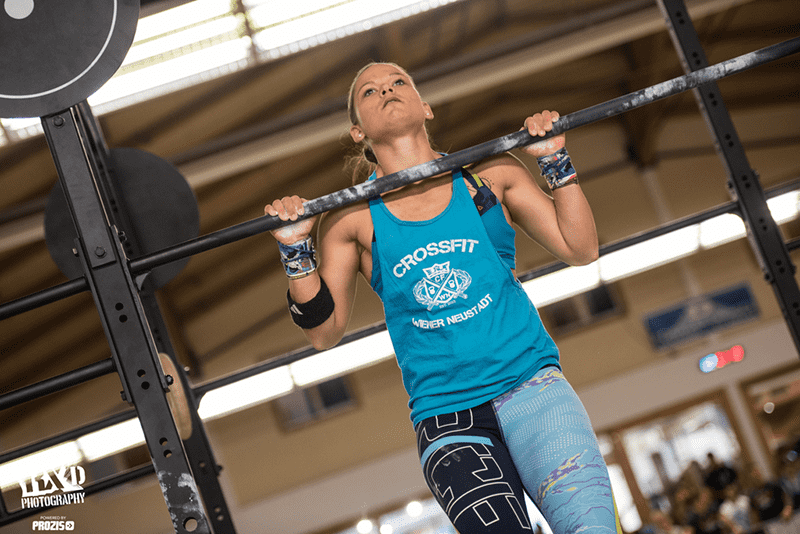 The intensity of training as a Crossfitter means that your body requires more support than the average joe. You need to be supplying it with a variety of nutrients. In addition to this a recent meta-analysis¹ concluded that a higher consumption of fruit and vegetables is associated with a lower risk of all causes of mortality, particularly cardiovascular mortality. There is no supplement that has this kind of effect! Adding more vegetables (particularly green veg) into most meals is where you need to start. Add kale/spirulina into your morning smoothie, spinach to your omelette and a variety to your lunches and dinner. The bottom line is to eat vegetables with every meal. Water is used for cooling the body, so a lack of hydration can lead to fatigue, which of course, affects performance. Dehydration of 3% can lead to physiologic dysfunction and increase the chances of a Crossfitter developing a heat illness (i.e. heat cramps, heat exhaustion, even heat stroke). Get yourself a good quality water bottle such as The Radian™ and keep it with you as a reminder to stay hydrated. This stainless steel shaker’s robust, double-wall insulation keeps drinks cold for up to 24 hours. Water should be your main source of hydration. It can be sparkling and even flavored. But be careful that nothing unhealthy has been added, such as artificial ingredients and flavours. Soda, juice and other ‘soft’ drinks should be avoided since your body won’t allow those liquids to help with hydration until after it processes the soda or excess sugar. Finding what works for you is so important. One man’s meat is another man’s poison. This takes a little bit of awareness. Do you have those days when you feel superhuman?! Just note down what you ate in the meals leading up to this. Additionally note down what foods you ate when you feel like death and everything feels like 200kg! Don’t follow someone else plan, evolve your own. Deciding what to eat for breakfast, lunch, dinner, snacks, pre workout, post workout etc etc etc…it can become overwhelming. The sheer number of decisions we have to make regarding food is staggering. Employing some simple strategies to minimise the stress of making these type of decisions can help you focus on other areas like training, work and your social life. Meal prep – you don’t have to prep every meal for a whole week but maybe just cook extra from dinner or roast some meat and veg a couple of times. Get some go to meals in your locker – this could be a good smoothie recipe, a quick tasty superfood salad lunch or a spicy stir fry. Having these quick go to meals allows you to stay on point with your Crossfit nutrition regardless of the situation. You don’t have to buy everything organic from expensive health food shops, but one basic thing to do is to buy the best you can afford. Do a little bit of research to find a local producer that does amazing eggs for a fraction of the supermarket prices, or buy up superior cuts of meat and fish when they are on sale and freeze them. Another tip is to buy larger cuts of meat and cook for a few meals at a time, this is always cheaper than buying the pre cut fillets, allowing you to spend more on better quality veg! Remember that everything you put in your mouth, in either solid or liquid form, is either helping you achieve your goal or hindering your progress. Make sure you understand the basics and make them a habit.